Awhile back Jen from Redberry Barn emailed me and asked if I would be interested in receiving a Canvas Corp. Kit. “UM, YEAH!” were my thoughts. I have seen some of the cute KA-UTE! 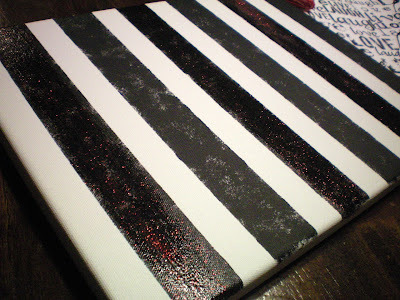 stuff Jen has posted on her blog with Canvas Corp. products, so needless to say I was excited. 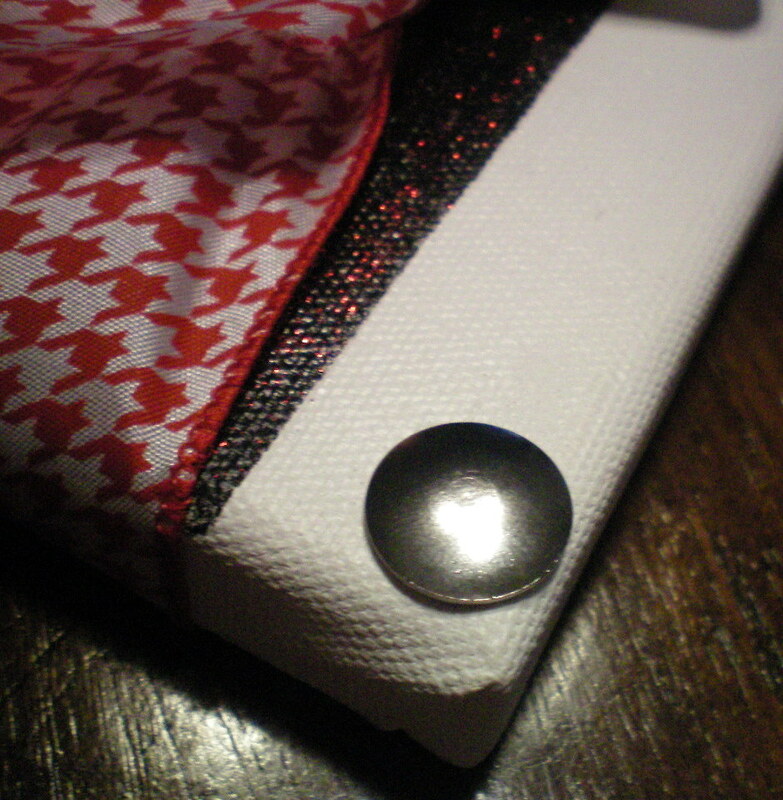 I have made TWO fun crafts using Canvas Corp. products. One craft using all Canvas Corp. stuff and the other one you see BE-LOW. 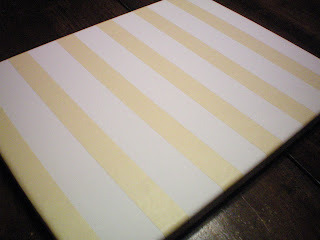 First I taped down strips of tape on a 11×14 canvas board, to make stripes. Then with black acrylic paint I used a stencil brush and stenciled in the lines with the paint. once the paint was dry, I removed the tape and added some red glitter glue over some of the black stripes. I added silver thumb tacks to each corner.. 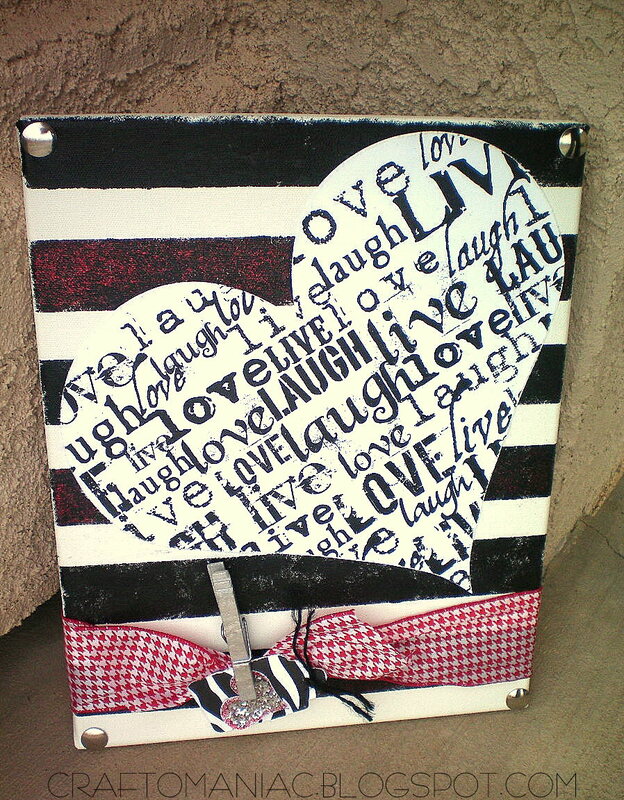 I love embellishing and adding dimension and layers. I just pushed the tacks into the wood. I also wrapped some hounds-tooth ribbon I had around the bottom and tied a knot. 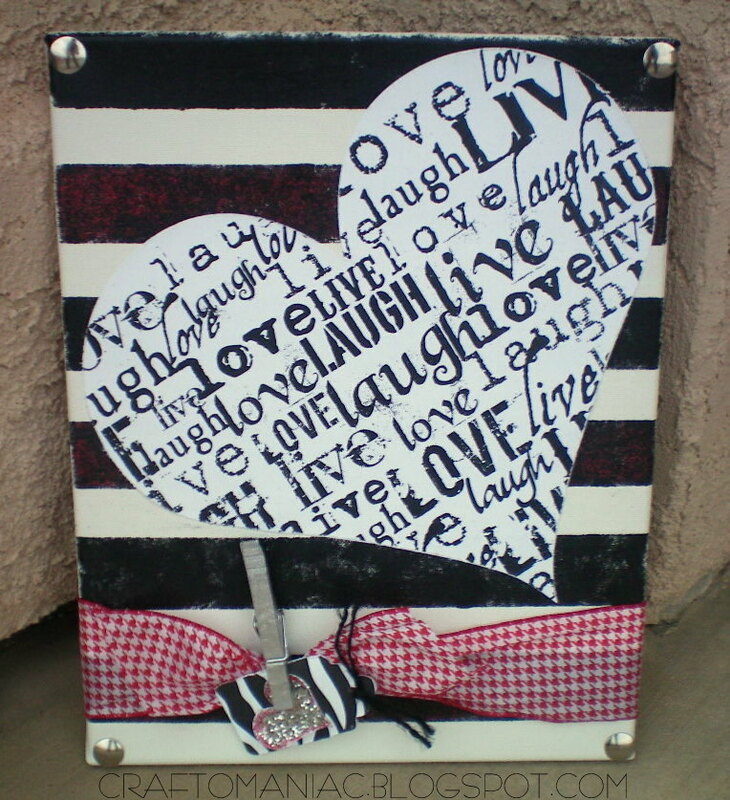 I used the Canvas Corp “LIVE LAUGH LOVE” scrap paper and used my Cricut to cut out a large heart, I then roughed up the edges with scissors.I mod podged the heart onto the dry canvas. 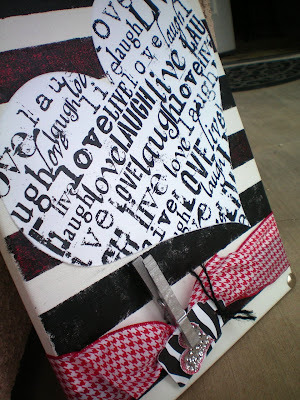 Next I used one of the DARLING Canvas Corp. zebra tags, black jute, and silver clothes pin to add more layers and dimension. 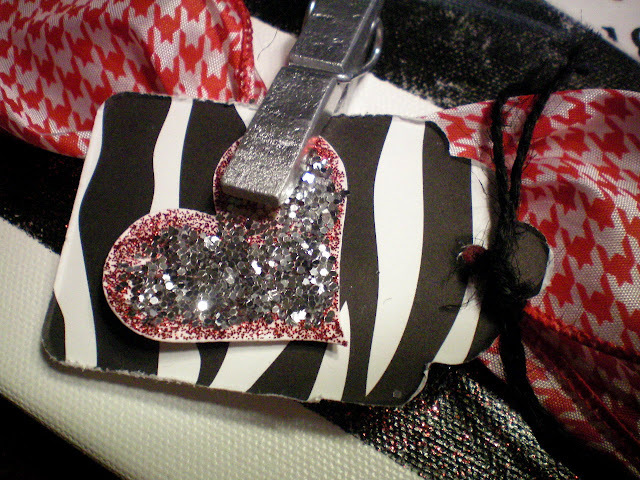 I cut out a smaller heart from my Cricut and added glitter glue and silver glitter over the glue for a fun effect. 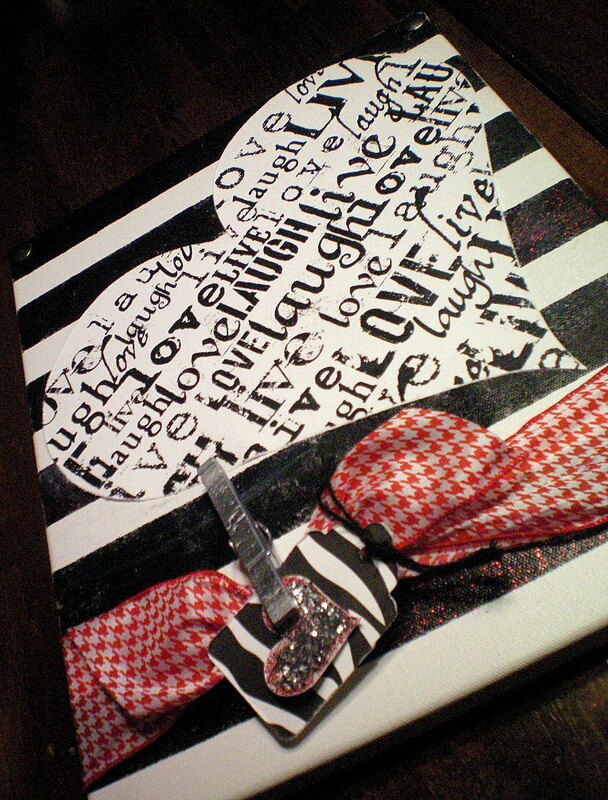 I love the final product and I don’t know what it is but it reminds me of NO DOUBT’S LAMB collection…. 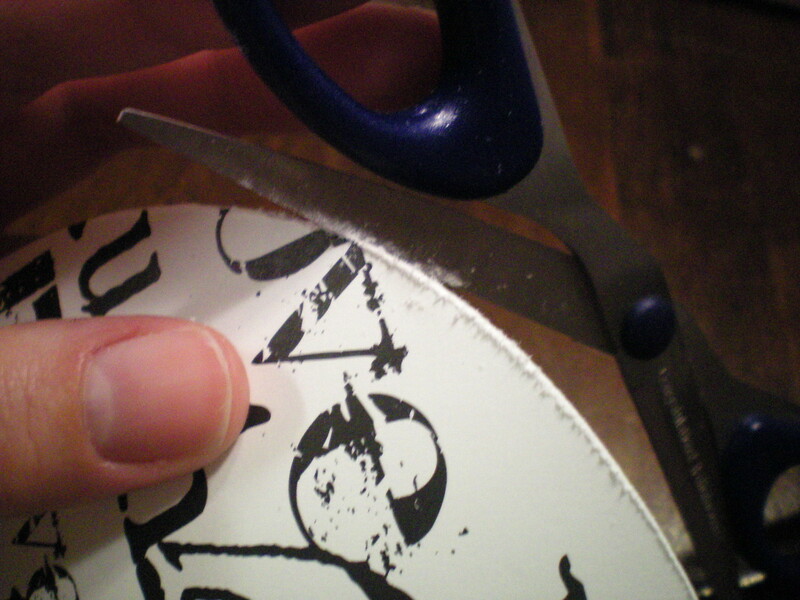 or something No Doubt would make if she crafted… HA HA, I make myself laugh. It also reminded me of my sissy so I gave it to her and she was THE very HAPPY recipient of this product. All though it looks Valentines-ish its really not. 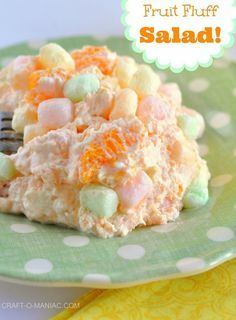 However, you can make it and use it for Valentines. P.S. 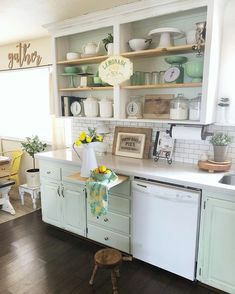 I think it would look cute in a young girl pre-teens room. 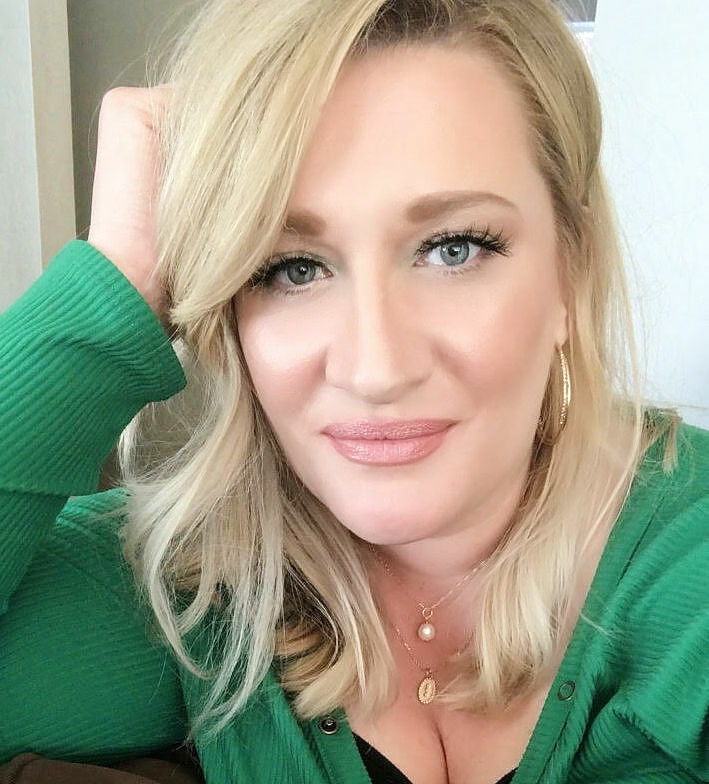 THANKS SO MUCH FOR stopping by and thanks again jen, and Canvas Corp. Very funky, I love it! I know what you mean about the No Doubt LAMB look, but it’s very cool! I’m in love with that LIVE LAUGH LOVE paper! gorgeous! great job! I cant help but look forward to all your posts! You are so talented! It looks so finished! I am a huge fan of anything houndstooth! 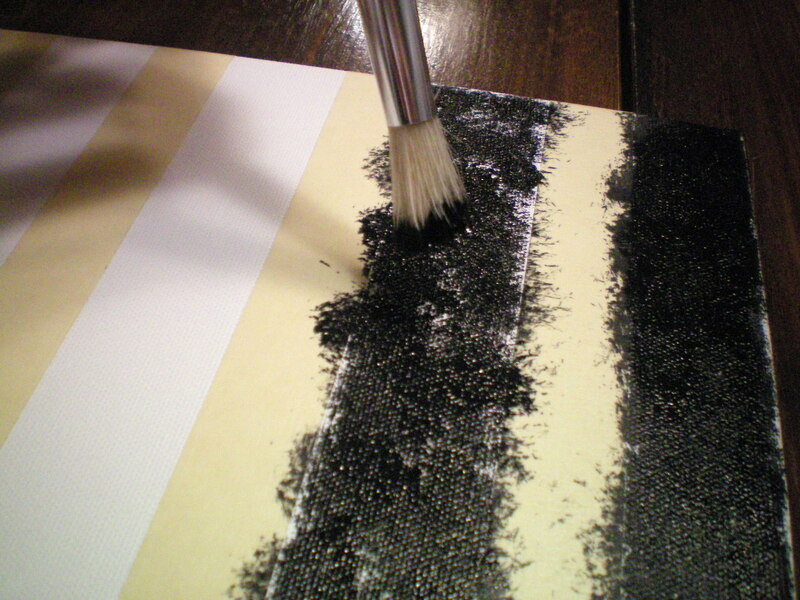 Wow, I just have to say I am so excited to be a follower, you have such a talent!